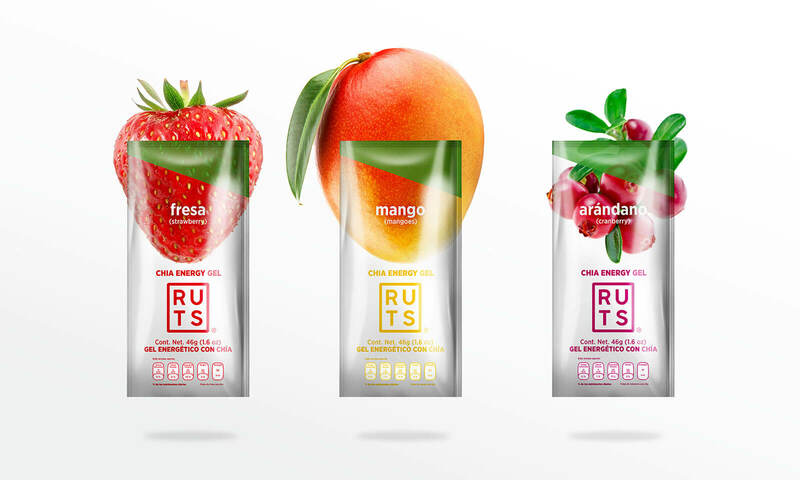 RUTS is a brand of 100% natural energy supplements that improve the performance and concentration of marathon runners and high performance athletes. With a presence in over 25 cities, RUTS is a proudly Mexican brand. To translate the professionalism and passion behind RUTS, into a brand personality that breaks with the current paradigm that Mexican products are of poor quality. For this project, we decided to evoke our roots, which is why we chose the name RUTS ("Roots" in Mexican). We were inspired by the Tarahumaras, an indigenous Mexican tribe of natural born runners. Through sports aesthetics - Sans-serif Bold fonts, bright colors and metallic finishes - we sought to emphasize the high quality and nutritional attributes of the product. “Inspired by the Tarahumaras, a Mexican tribe of natural born runners."